The process of obtaining approvals to set up an industrial unit or an infrastructure project in India can be an intimidating prospect for any foreign investor. Time-consuming procedures or delays in securing approvals frequently escalate project costs or have to be factored into cost estimates. This includes obtaining consent from green bodies when setting up a new unit or making infrastructure investments. 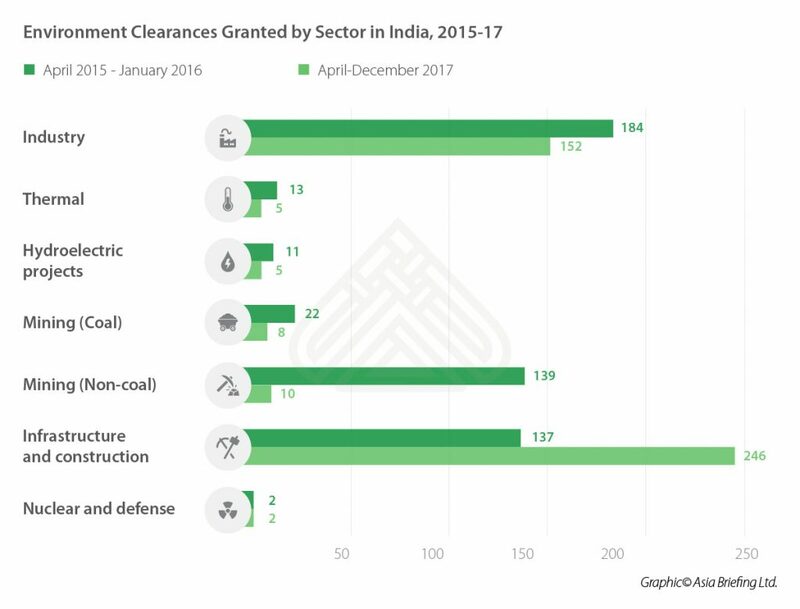 Data for March 2018 showed that 23 percent of projects in India, across all sectors, were stalled, due to the failure to obtain environmental approvals. 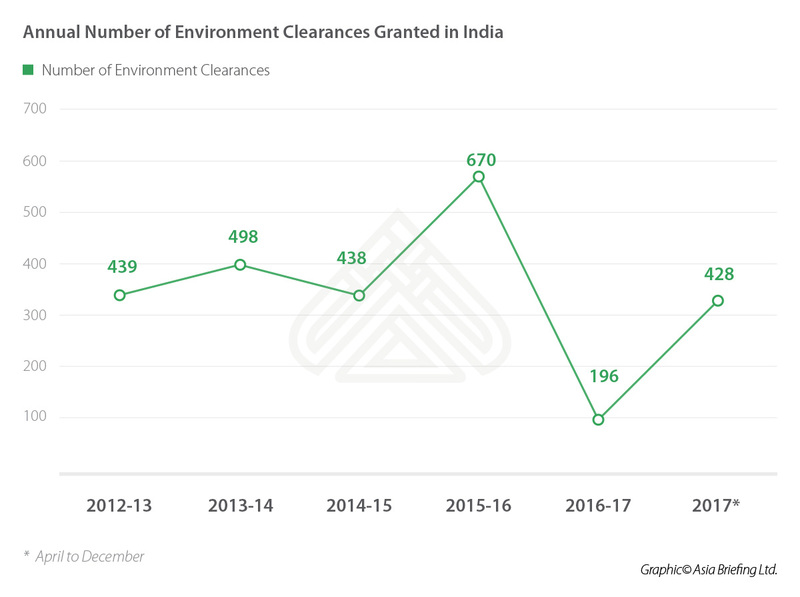 In an effort to make things simpler for investors and industry stakeholders, the government recently simplified the process of obtaining clearances, including from environmental regulators. Here we outline key regulatory changes and environmental compliances for businesses in India. In India, new undertakings in 38 specific categories have to secure approvals directly from the federal Ministry of Environment, Forest, and Climate Change (MOEF) – prior to the establishment of a project. These categories include: textile processing, sugar industry, tanneries, ship breaking operations, e-waste recycling, paint varnish and pigments, pesticides, cement, fertilizers, oil and gas extraction, coal preparation plants, and nuclear plants, among others. Smaller projects, however, must secure environmental clearances from the Central Pollution Control Board (CPCB) or the respective State Pollution Control Board, depending on the location of their unit. These agencies also regulate environmental and pollution norms after the project becomes operational. 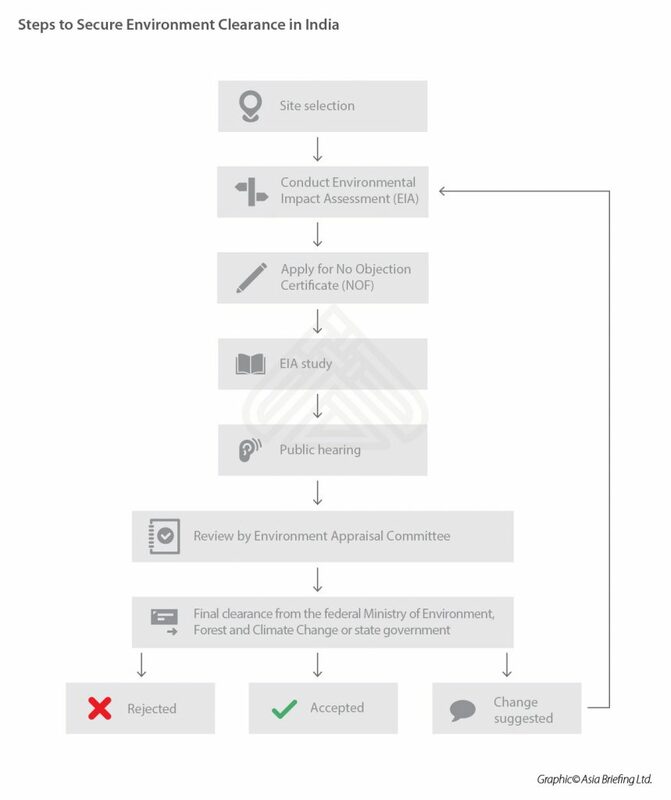 The process to acquire environmental approvals is carried out in three stages. Each stage involves its own set of inspections by inspectors from the CPCB or the specific state PCB. Units located on India’s coastal areas have to comply with additional regulations governing marine pollution and preserving the country’s coastal waterways. In the case of non-polluting units, the respective pollution control board seeks a detailed report from the company, which will attest to their non-polluting status in future operations. The Hazardous and Other Waste (Management and Transboundary Movement) Rules, 2016. While The Environment Protection Act, 1986 requires companies to conduct an Environmental Impact Assessment (EIA), the Land Acquisition, Rehabilitation and Resettlement Act of 2013 mandates compulsory Social Impact Assessments (SIAs). An EIA is carried out when a project is situated in an area with low or no existing human habitation; an SIA, on the other hand, analyzes the social impact of the project on areas with large populations. All disputes concerning the environmental approvals process are referred to the National Green Tribunal (NGT). It is headquartered in New Delhi and has divisions in Pune, Kolkata, Bhopal, and Chennai. Earlier, companies in India would have to wait for up to two years to obtain their environmental clearances. The delays caused significant cost overruns for investors. In response, reforms were introduced to speed up the license approval process overseeing environmental impact assessments for industrial and infrastructure projects in India. A firm’s application to obtain an environmental clearance will now be processed within 150-170 days. It is an online process since July 2014. In addition, environmental approvals will be valid for a period of seven years; previously the validity expired after three years. Since April 2018, the federal government has exempted specific projects located in industrial parks from participation in public hearings to determine the environmental impact of these industries. Exclusion from public hearings gives a company considerable immunity from local pressure groups. The public in India is becoming increasingly sensitive to environmental concerns. While previously, industrial pollution was only associated with accidents – activists and residents are increasingly vigilant regarding the negligent practices in industrial units or the flouting of environmental norms. While the Bhopal gas leak in 1984 – which led to the deaths of 3,000 people – resulted in tough and complicated environmental regulations in India, hastening the license approval process has triggered considerable alarm lately. For instance, in May this year, police in Tuticorin, in the southern state of Tamil Nadu, opened fire on people protesting the expansion of a local copper smelting plant. The shooting led to the deaths of 13 protestors, and is the latest instance of uneasy relations between polluting industrial units and their surrounding environment. Vedanta Resources Plc, which is the London-based company that owns the Sterlite copper smelting plant is not new to environmental protests. Multiple companies affiliated with Vedanta have been accused of violating environmental laws – in the states of Odisha, Goa, Chhattisgarh, Tamil Nadu, and Rajasthan as well as in the Chingola region in the south central African country, Zambia. Vedanta delisted itself from the London Stock Exchange in July – probably an outcome of the backlash from the Tuticorin incident. Firms operating in polluting sectors must therefore be cautious when pushing for faster environmental clearances. While the Indian government seeks to attract greater investments by shortening the time to grant approvals, firms should pay close attention to local stakeholders, such as environmental groups and neighborhood associations while conducting their due diligence checks and assessing risk exposure. This may be highly sensitive issue if the establishment of the unit caused the relocation of local inhabitants or if it comes under a highly polluting sector. Finally, as awareness about the environment and impact of pollution on critical resources like water, air, and soil grows – companies must follow best practices if they are to secure their reputation and brand, which directly impacts their operations, legitimacy, and finances.